When it comes to gambling both online and in a brick and mortar casinos, the laws in Australia are somewhat liberal in comparison to many other countries. You’ll find a host of great casino resorts throughout the country. The game of choice for many Australians is the slot machines which are locally known as ‘pokies’. In several states, you’ll also find these pokies in bars, where you’ll also find sports betting opportunities. 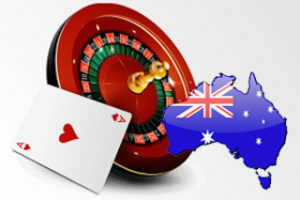 Many Australians also enjoy online casinos, playing at a wide range of international casinos who offer a great variety of traditional, roulette Australia, and innovative casino games. Below, you’ll find a guide to casino gambling in Australia. I’ll start with the online scene, considering the legal situation and where Australians can play with some advice as to choosing an ideal site. Then I’ll move onto the land-based scene, with a detailed look at the casino situation in each state and the most popular casino games on offer. The online casino situation in Australia is not completely clear and this is due to the passing of the “Interactive Gambling Act” in 2001. This act restricts what Australian gambling sites can offer online to residents of the country. Fortunately, this doesn’t mean that Australians can’t enjoy online casinos, the act aimed at the operators themselves. This has led to a slightly strange situation where many Australians play at international casinos and many international customers play at Australian casinos. 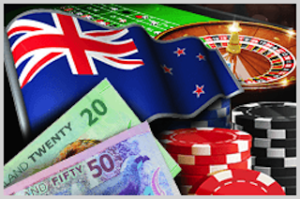 The international sites are some of the best when it comes to online casinos, many offering a tremendous variety of slots, which obviously resonates well with their Australian users. These sites offer a great mix of both traditional casino games and new games, these new games either being completely original or variations on existing games. For example, you’ll be able to play both standard Roulette and games like Mini Roulette, Bonus Roulette, and Multi-wheel Roulette. 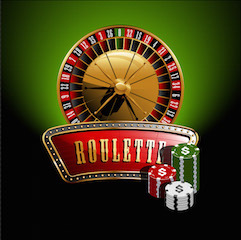 They have easy deposits, generous roulette bonus and a great selection of single zero roulette games to play for real money online while enjoying the interaction with its Australian live dealers. You should be little wary before signing up to a specific site without a checking if your online casino’s reputation. The vast majority of sites are perfectly genuine and your experience will be a positive one, but like any other industry, you might find a rogue site or two. To protect yourself from this, steer clear of any sites offering you the world before signing up and check that the casino is licensed. The safest sites are the ones that have been in operation for a number of years. Doing a quick internet search is an excellent idea to see if everything is in order. The Star Casino based in Sydney is the only one in NSW. This casino offers 1000’s of slots as well as a solid offering of table games, including Roulette, Blackjack, Baccarat, and variations of poker. This state features just two casinos. These are the ‘Skycity’ in Darwin and ‘Lasseters’ in Alice Springs. This state has several options when it comes to casinos. ‘Jupiters’ casinos are found on both the Gold Coast and in Townsville. In Brisbane, you’ll find the “Treasury”, this casino featuring over a thousand pokies. The “Reef Casino” can be found in Cairns. There is just one casino in this state, the ‘Skycity’ based in Adelaide. Victoria has just one casino, the ‘Crown Casino’ in Melbourne. This is a famous and lavish venue, well known for hosting the Aussie Millions poker tournament on an annual basis, attracting the best players from across the planet. Like Victoria, the only casino in this state is also the ‘Crown Casino’. This resort-style casino is situated in Perth and includes hotels and an entertainment complex. Traditional pokies are not allowed here, skill-based games taking their place. The ‘Wrest Point Hotel’ in Hobart and the ‘Country Club Resort’ in Launceston are the only casinos on the island of Tasmania. Walking into an Australian casino will give you the same feel as when entering a US-based casino, with a similar spread of games available. Pokies will take up the majority of the floor space except in Western Australia where you’ll find skill-based games. You’ll be able to play a good range of table games, with Roulette Australia, Blackjack, Baccarat, Craps and a number of poker variations. Many of the casinos also have their own dedicated poker rooms, where players can play both cash games and large entry tournaments. As well as casino gambling, Australians love their sports betting, and you’ll be able to enjoy both this and playing a pokie in many local bars.